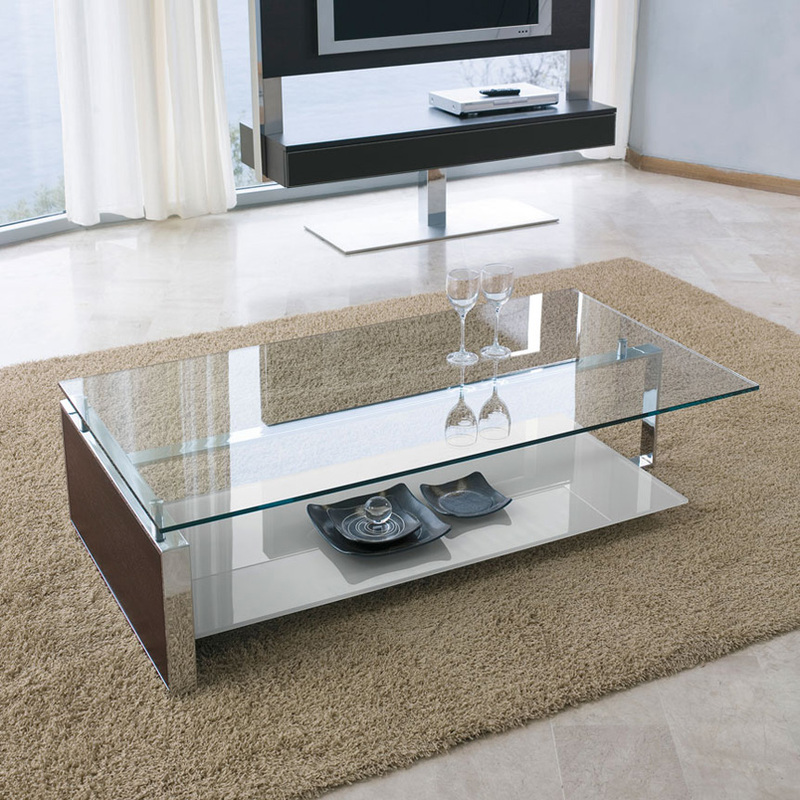 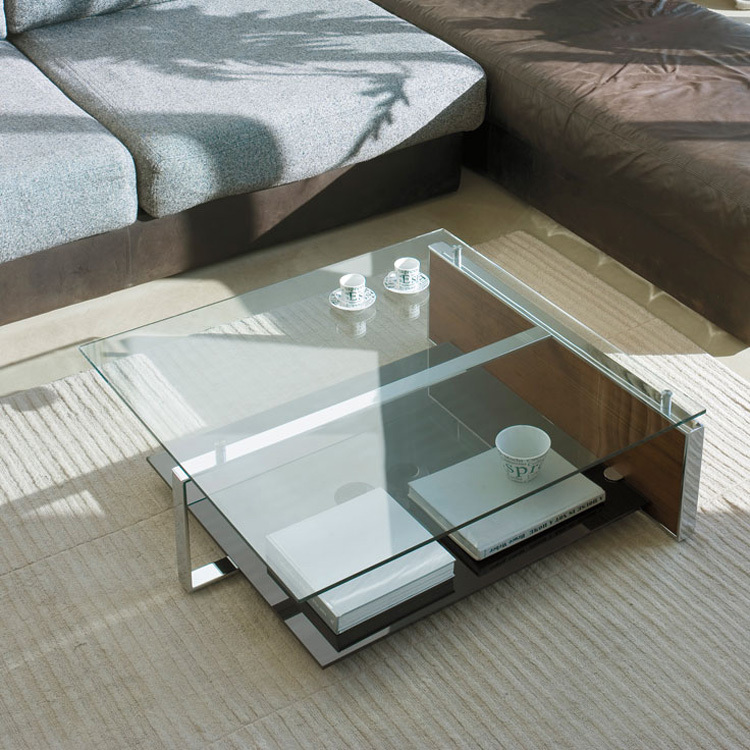 A small table with a delicate design suitable for modern or retro interiors. 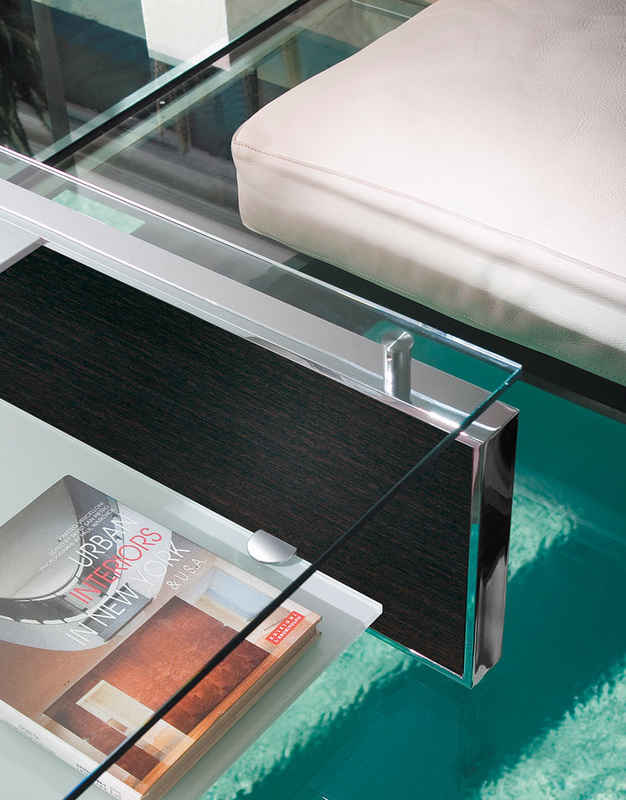 The top and lower shelf are made from extra clear glass, the top is transparent and the lower shelf is painted in matt or shiny colors. 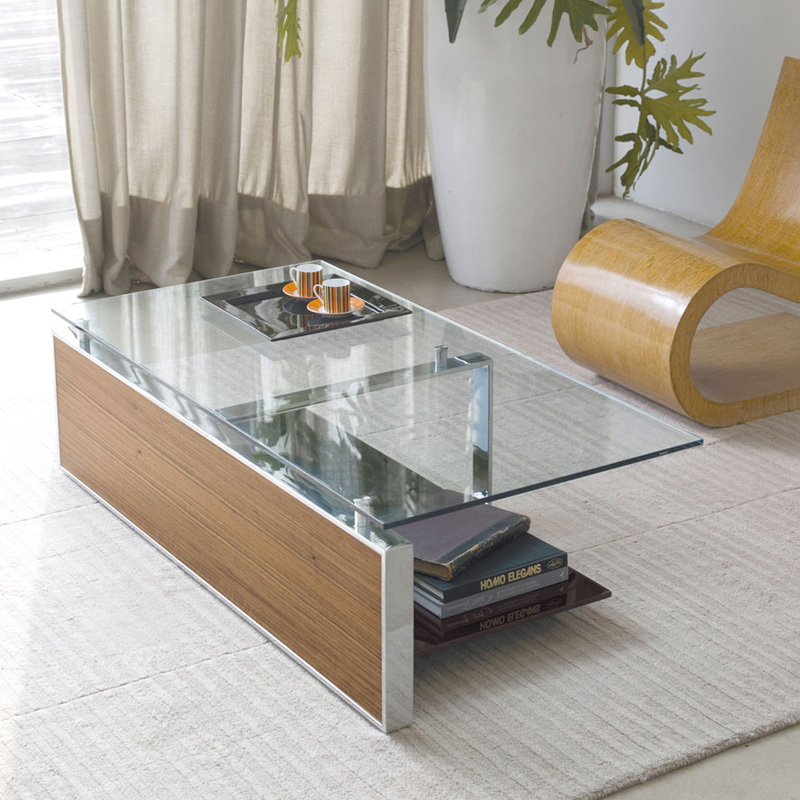 The side panel is available in a various wood finishes, painted matt or shiny colors, or covered in leather. 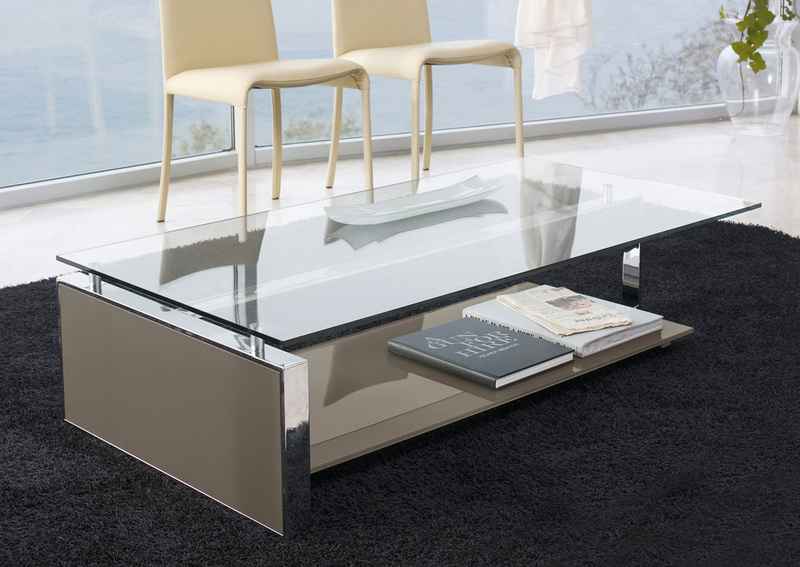 The frame is chromed steel, painted frame finishes are available on request.